Peer supervision groups, in which psychotherapists meet regularly to give and receive help with difficult cases and other issues in private practice, are an important component of many therapists' professional lives, but only a few journal articles have discussed them. 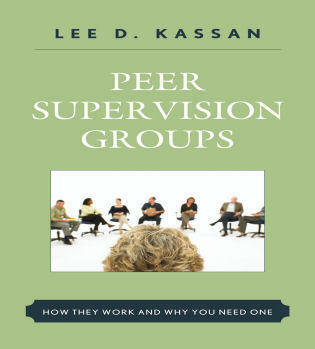 This first and only book on the topic addresses some of the problems of conventional supervision and investigates the experience of being in a peer group. Drawing from the author's own experience and his interviews of thirty-four members of twenty different peer groups, the book describes in detail the varying structures, topics, and interactions in a peer group situation. The author also gives guidelines for organizing and conducting an effective group. Lee D. Kassan is a licensed psychoanalyst, licensed Mental Health Counselor, and Certified Group Psychotherapist in private practice since 1980. He is the author of Who Could We Ask? The Gestalt Therapy of Michael Kriegsfeld (2007), Second Opinions: Sixty Psychotherapy Patients Evaluate Their Therapists (1999), and Shrink Rap: Sixty Psychotherapists Discuss Their Work, Their Lives, and the State of Their Field (1996), and a co-author of Genius Revisited: High IQ Children Grown Up (1993).